If you’re thinking about traveling to South East Asia then Singapore has to be on your list of places to visit! The great thing about Singapore is its position, which is known as the ‘Crossroads of Asia’, as it combines all the fabulous Asian countries together. As Singapore is situated between the South of Thailand and the North of Malaysia it makes it an easy destination to combine with your trip to these countries. You can also stop in Singapore on your way to Indonesia, Cambodia and Laos, or use it as a hub to combine all these places together. It even acts as a great stopover between Europe and Australasia, so the options really are endless. The other reason it works so well is that Singapore is a city everyone will love, combining perfectly western luxuries with an eastern flare. With its excellent infrastructure it’s an easy city to explore and with its diverse culture, the modern architecture and the natural wonders why wouldn’t you make it a stop-over destination? Singapore and Koh Samui: This simple but perfect city and beach combination mixes vibrant city, with calming tropical beaches. Both destinations complement each other well, by offering something completely different, whilst still offering luxury hotels and stunning surroundings. Singapore and Borneo: This itinerary really offers everything you could want from a multi-centre holiday, combining city and beach, culture with wildlife. Blending fast paced city life, with tranquil beaches and the opportunity to see Orang-utans in their natural habitat. Singapore and Bali: This trip really is an all-round package, offering something for everyone, from the fast paced city life of Singapore to the laid back lifestyle of Bali. There’s shopping opportunities ranging from the designer stores of Orchard Road to the traditional night markets of Sanur and Kuta. There’s theme parks in Singapore, you could go jungle trekking in Bali, there’s various temples, endless tourist attractions and a wealth of adventure activities – what more could you want? Singapore and Langkawi: If you like luxury you will love this combination. Both destinations are known for their luxurious hotels and their exquisite restaurants. Combining designer shops and swanky bars, with beautiful beaches – this fabulous twin centre itinerary really is the best in luxury. Singapore and Bintan: This trip is fantastic as Bintan is only a boat ride away from Singapore, giving you more time to explore both destinations and all their hidden treasures, yet still offering a great city and beach mix, with no compromise. Marina Bay Sands Resorts offers a two tale gambling service and its casino spans across 15,000 sq. mts. Over four levels of gaming. It has incorporated all the most acclaimed game titles like Black Jack, Roulette or Baccarat. The casino has multiple slot machines, all of which are accessible. Following the trend of other Singapore casinos, this one also charges a $100 levy to enter, for all Singapore citizens as well as permanent residence holders. The resort hotel and casino is connected to a huge shopping complex called The Shoppes. The complex houses all the luxury brands, be it Gucci, which spreads to a double-storey space or Louis Vuitton, located in the exteriors of crystal pavilion. After a session of luxurious shopping, the guests can enjoy delicious meal at the food court or at the celebrity chef restaurants, if they are up for more luxury. The complex also has an indoor skating rink and a stage theatre for the performance art. The Art Science Museum, resembling a colossal lotus, holds exciting exhibitions. The most recent exhibition was the Titanic Artifact Exhibit. This architectural structure is another adornment in the Singapore skyline. It is, as the name suggests, a park for the guests to enjoy the artistic skyline of Singapore. Along with the sky, standing on the viewing deck of the resort, the guest can also enjoy the view of the ocean. The resort provides an excellent and exhilarating experience of swimming on its huge Infinity pool, from which the guests of the resort can have a beautiful view of the city from the top, all as they are enjoying a swim. The resort has allotted a public space for the organization of trade shows, banquet functions, as well as training events or seminars. This space is available on rent and is equipped with modern techniques, latest audio as well as visual facilities. The Marina Bay Sand Resort is a tourist attraction in itself. With its grand features, it is absolutely self-contained and invites its guests to spend quality time in its vicinity. It welcomes visitors with all kinds of taste and promises to take care of all their interests. The Resort with it grand design, planning and organization is listed top among the world’s major attractions. Jenny Corteza manages the social media engagement forhighcashoffer.co.uk and is also responsible for their digital strategising. Her duties also involve creating campaigns for them and engaging their audience. If traveling to Singapore is in your future plans, you will want to be sure that while you are there you take in some shopping on Orchard Rd. You will find that there are so many great shops, boutiques and stores located on Orchard Rd that you could spend the whole day there and still not see every establishment. 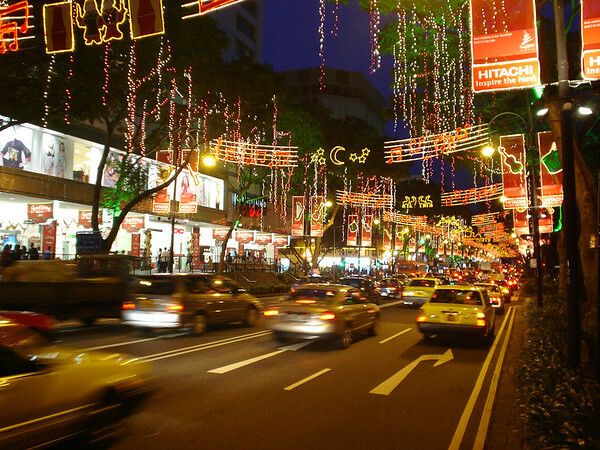 Shopping on Orchard Rd will offer you great shopping from local and international markets. You can find great clothing that offers famous designer names as well as your everyday run of the mill clothing. 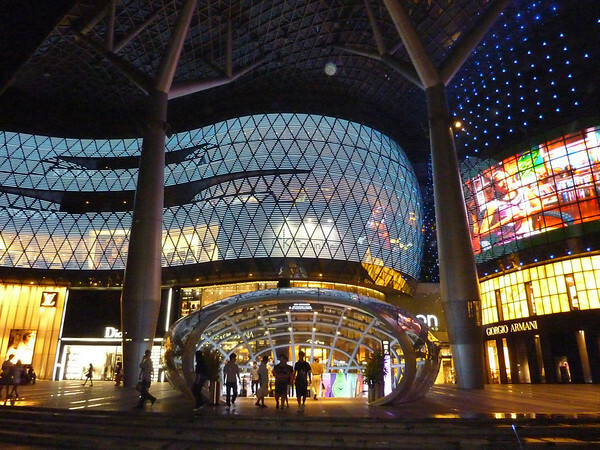 For the most glamorous and luxurious shopping, you will want to visit ION Orchard. It is located at the end of Orchard Rd and offers the finest in designer name brands. You will have no trouble finding your favorite designer items from Louis Vuitton, Miu Miu, Cartier and Prada just to name a few. The ION Orchard is like no other mall that you have ever experienced; even the toilets are top of the line. This is a must see place because of its unique architecture. If you’re not into designer fashion, you will still want to go to the ION just to get a look at it. Another great place to shop is Tangs, it’s the oldest department stores onOrchard Rdand it has the distinctive Chinese design. Though it has changed over the years to a modern shopping place, it still offers the same great buys. It is filled with decorative items and specialty gifts which make it a great place to shop for all of those great souvenirs that you want to bring back home with you. On the second floor, you can purchase all of your cool cotton clothes to make your day at the beach enjoyable. The Centerpoint is probably the most popular shopping place on Orchard Rd. At the Centerpoint, you will be able to choose from a large variety of items such as clothing, electronics, optical items, fishing and sporting good items, fine art and even Asian antiques. You can also shop at the Heeren. Here you will have the thrill of purchasing brand names such as Levi’s, Silver Tab and Fossil. You will find the latest trends of hip wear and street wear ever made. It’s the perfect place to purchase fashion accessories, shoes and sun glasses. While shopping on Orchard Rd, you won’t have to worry about find a great place to have breakfast, lunch or dinner; the area is lines with wonderful places that offer a large variety of foods to please any appetite. Should you find that you need to sit down and take a break, there are also plenty of benches and café tables to rest your tired feet before moving on to your next great store to continue your shopping extravaganza. Orchard Rd has proven to be one of the best places in the world to enjoy shopping. There is so much to see and so much to take in that this is truly going to be the best shopping adventure that you have ever had the privilege of experiencing. 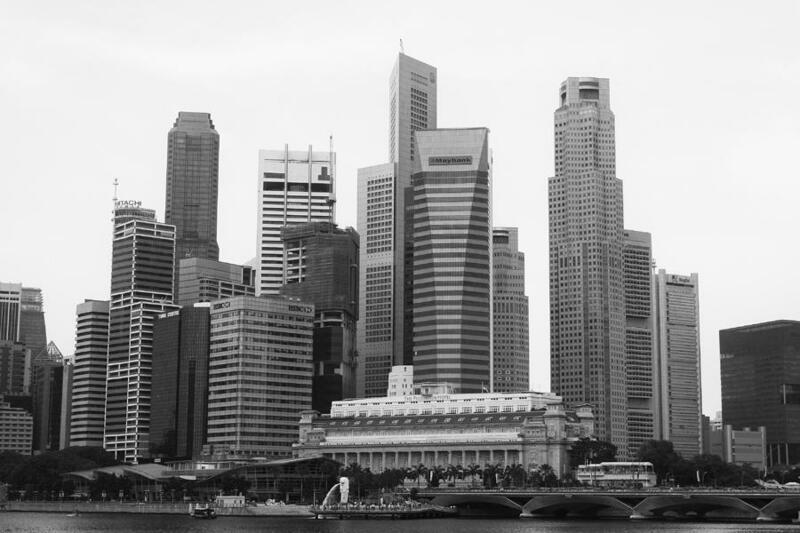 Singapore Guide Online is a travel guide to Singapore, featuring articles on things to see and do, as well as personal travel stories and featured photos of famous landmarks in the city. Your Singapore - Singapore Tourism Board. Singapore Tourism Board - Tourism news and trade events. Interested in becoming a Singapore travel blogger? Find out how to start your own travel blog. Finance your travels by becoming an online gold trader.